If you love the smooth, rich flavor of Atlantico Rum then show it off with this maroon v-neck tee. 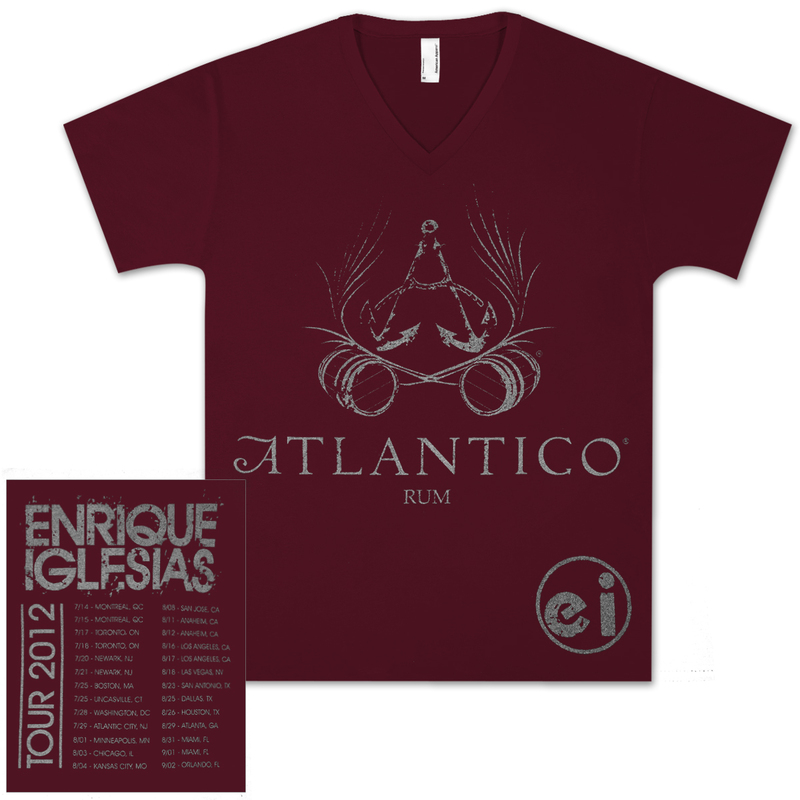 The front has the Atlantico Rum logo with a smaller EI logo in the lower left corner. 2012 tour dates are featured across the back.